Each year famous horses, such as Coneygree and The Tin Man hold racegoers in thrall at many thousands of horse racing events worldwide. 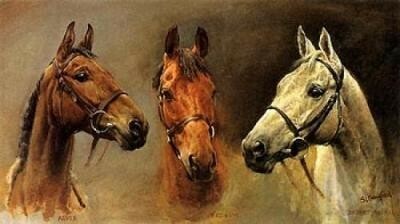 Such events reveal many champions and horse racing facts over the years. Barbaro was one such champion that caused quite a stir in the horseracing world. Although he lived only a short life, he was still a renowned horse and one that most definitely earned his place in the winner’s circle. He shared an ultra fine, athletic appearance with both power and speed. It was these characteristics that allowed him to do so well in the many races he took part in. This striking horse was owned by Roy and Gretchen Jackson and was bred by Lael Stables. He began his career as an undefeated horse and this was probably due to the intense and experienced training he received from his specialist trainer, Michael Matz. His first race came in the shape of the Kentucky Derby and due to his natural talent and striking pace, he actually crossed the finish line seven lengths ahead of the rest of the field. This win was accomplished without him even reaching his peak speed. Unfortunately this athlete’s life was cut short at just four years old. The reason behind this tragedy was a premature start. Barbaro broke through the starting gate early in the 2004 Preakness Stakes, this happened after he accidently disengaged the magnetic gate bars with his nose. Barbaro had in fact managed to break his leg in three different places and this in turn meant that he ran the race on only three working legs. These breaks lead to further incurable problems and although Barbaro’s career was only short lived, he made a huge impact on the horseracing world and due to this he was well known and loved by millions of fans. 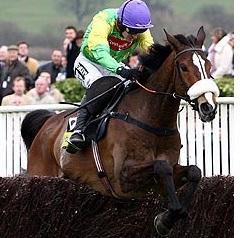 In the UK one of the most famous and popular horses was Kauto Star who excelled in races over jumps. Bred in France in 2000 he was soon bought by Clive Smith and trained in the UK by Paul Nicholls. His many victories at the highest level included the blue riband of national hunt racing the Cheltenham Gold Cup which he won twice in 2007 and 2009. He also won the King George VI Chase a record five times and ended his career with a record £3,775,883 in earnings which included £1,000,000 bonus for completing the Stayers Chase Triple Crown. He retired from racing in 2012 and sadly in 2015 he had to be put down after a fall in his paddock resulted in serious injuries.